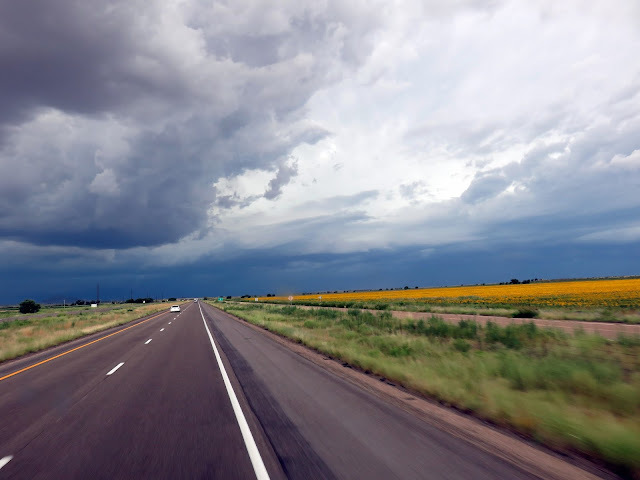 Heading into a storm in Tucumcari, New Mexico. The sky was black to the left, with lightning strikes coming through the clouds. On the right, an endless field of sunflowers.